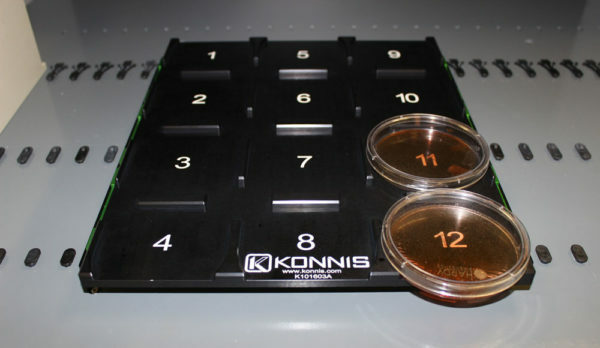 The Konnis designed petri dish adapter is designed to carry 12 petri dishes on and off the Tecan instrument. 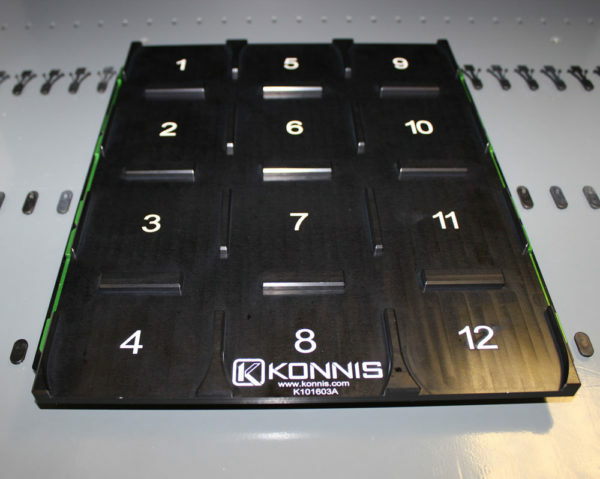 It requires two 3 position flat microplate carriers for precise deck positioning. 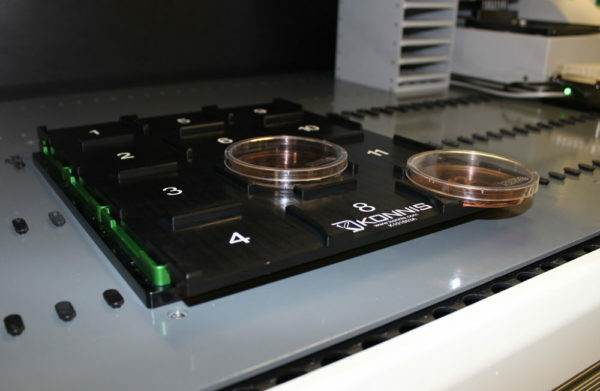 Design allows RoMa arm to remove and relid each petri dish.